My mother is very special. She is also kind. She is like a princess because she is beautiful. She puts me to bed and tells me to go and do something. She is the best mum in the world. She makes food for me every time. We went to church because it was Anzac Day and the soldiers died. At Mass we sang songs. After the song Mrs Tui read. After mass we went outside and Mr Cockely spoke then it was our turn to say our part. Then Room 3 said their part and two kids from Room 3 held the flag. My mother is special because she cleans the house. I love my mum and she takes me to school. She gives me a kiss and a hug before I go to school. I love my mum. She makes me garlic bread. I touched the brown leaf and it was warm but the sides were broken. The leaf had seeds inside. Charis and Silia picked the leaves. On Saturday we celebrated Anzac Day. We wear poppies to remember the soldiers who died. My mum is special because she cleans my clothes. She helps me to do the washing. My mum also makes my lunch and takes me to school. We past the leaf and we have to feel it. We have to talk about it. The leaves are soft. The brown leaf has some seeds in it. The brown leaf was broken. The yellow and the red leaf was fat. The leaf has a line on it. 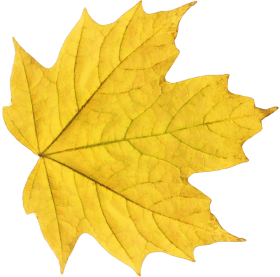 The yellow and red leaf has different colors. Yesterday Room 4 went to the swimming pool. First of all the girls got changed in the bathroom while the boys got changed in the classroom. Then the boys got into the pool when Room 1 left. Then we went into the pool four at a time. Half of the class went on one side of the pool and the other half went on the other side of the pool. We were taught how to float on our backs and on our fronts. I went to the monkey bars. Next I played on the slide. I then went to the big park. Then the bell rang and I waited for Room 4. My mother is special because she looks after me and washes the dishes. Sometimes the mums take a break at home. Even sometimes the mums do wrong things to us eg. they sometimes forget to tell us to clean our rooms. But sometimes the mums do right things ef. like telling us to get dressed for school. Even she is like an angel from heaven. The leaf was dirty. The yellow leaf was fatter than the brown one. The brown one is skinny. Both leaves were cold. The brown leaf had seeds in it. The yellow leaf has tiny holes in it and it had spiky things on the sides. The stick inside the leaves was hard and it has veins coming from it. The brown leaf was broken and it was wet. Thomas and Silia picked four leaves. We went swimming and we lined up outside and we walked to the swimming pool. The girls got changed and we went inside the pool. My partner was Seine and Emma held our hands to teach us how to swim. We were given numbers based on how well we can swim. Seine and I were number one because we cant swim well. Joseph was my coach.